You may be coming to Dent on one of the three long-distance footpaths that pass through Dentdale. The Dales Way covers the entire length of Dentdale, while the lesser-known Dales High Way descends into Dentdale off the shoulder of Whernside. A Pennine Journey follows in the footsteps of Alfred Wainwright who walked from Settle to Hadrian’s Wall (and back!) in 1938 passing through Dentdale. 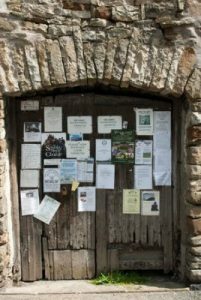 We hope that the information throughout this website is helpful when planning your journey, whether looking for accommodation, pubs, places to eat or public transport in Dentdale. Why not make Dentdale a stopover on your long-distance ride? Planning your own route to take in Dent can be fun, however there are also two recognised routes within the national cycle network passing through the dale. The Yorkshire Dales Cycleway is a superb but challenging 130-mile circular route visiting most of the major dales in the National Park. Skipton is the designated start and finish point, but of course the route can be picked up at any point along the way, or divided into sections to suit your fitness. National Route 68 of the National Cycle Network is known as the Pennine Cycleway. It runs up the spine of England and through three National Parks between Derby and Berwick-upon-Tweed, with Dent about halfway along. 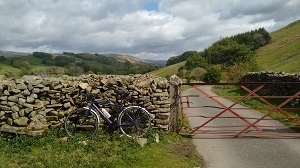 For more details about shorter routes cycling in and around Dentdale click here. The Pennine Bridleway is a new 205-mile long National Trail running roughly parallel with the famous Pennine Way but providing access for horseback riders and cyclists, as well as walkers. The route crosses the fellsides in the upper reaches of Dentdale (close to Dent Station) on the final stretch to its northern finishing point near Kirkby Stephen. With limited facilities between Settle and Kirkby Stephen (approximately 40 miles) you may want to consider a stopover in Dentdale.